Cook a healthy casserole for dinner tonight. 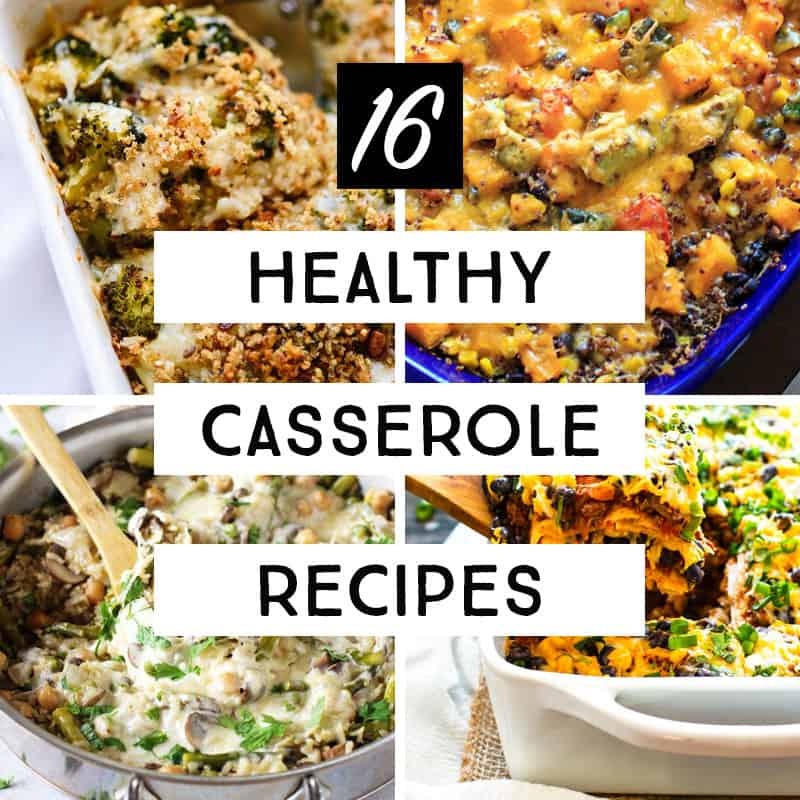 Here are 16 healthy casserole recipes you can cook for comfort food that you can actually feel good about making for your family. 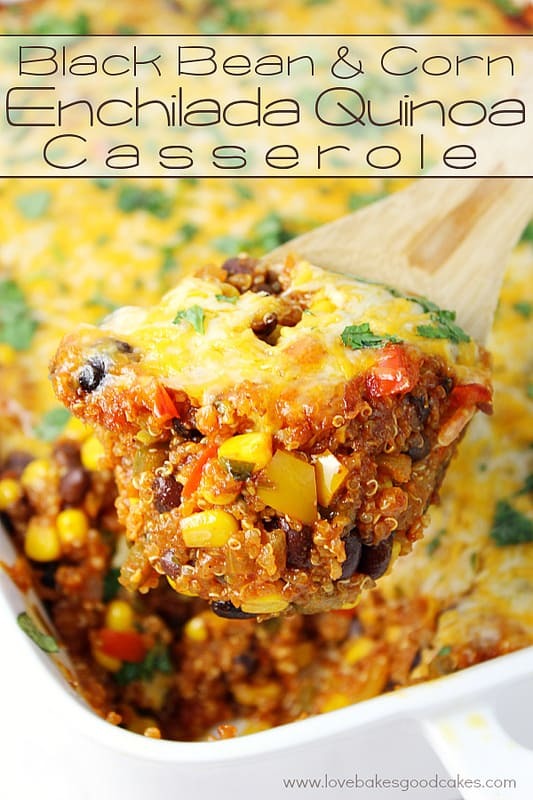 I wanted to pop in to share some delicious and HEALTHY casserole recipes with you today. But first, I have to back up a little and tell you what a big deal this is for me. For years, dinner casseroles were my go-to recipes on weeknights. All warm and hearty, they were perfection-in-a-pan baked at 350° for 30 minutes. Then, about two years ago I started eating healthy, which also meant I started making healthier dinners for my family and completely disowned my entire collection of casserole recipes. All of my casserole recipes were basically meat + cheese + pasta (or potatoes) + some sort of “Cream of Something” soup… none of which worked with my goals of plant-based eating. But, my friends, the siren-song of the casserole has been calling me. Casseroles were always a hit at dinner-time with the kids. In fact, they were sometimes the only meal in the week that I could actually get everyone to eat. It’s so hard to find really tasty dinners that I like, and dinners the kids will eat. Indeed, there are. Quite a few actually. I know that “healthy” might mean different things to different people. This mama doesn’t count calories. Instead, I focus on the ingredients that are going into a dish. In the casserole recipes below, you’ll find mostly lean white means, lots of veg, some whole grains, and some plant-based proteins. Many of the dishes *do* have cheese, but they aren’t drowning in it. And they all have “real food” ingredients. 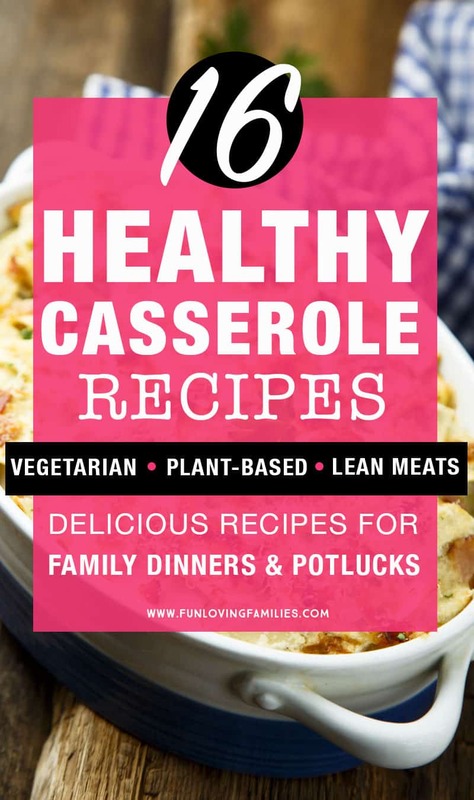 I know you’ll find some really tasty and healthy casserole recipes that your family will love. 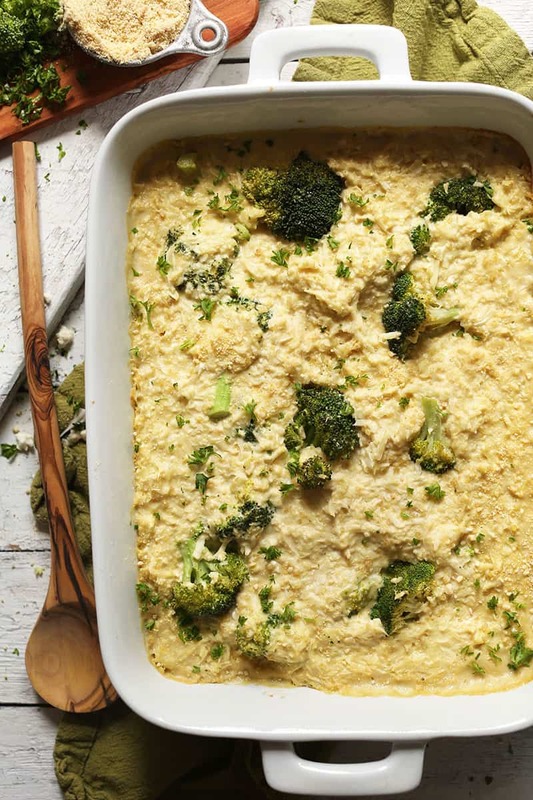 This vegan casserole recipe from Minimalist Baker has broccoli and cauliflower, plus some tips on which plant proteins to add that will really round this dish out as a meal. View the cheesy cauliflower rice broccoli bake recipe. 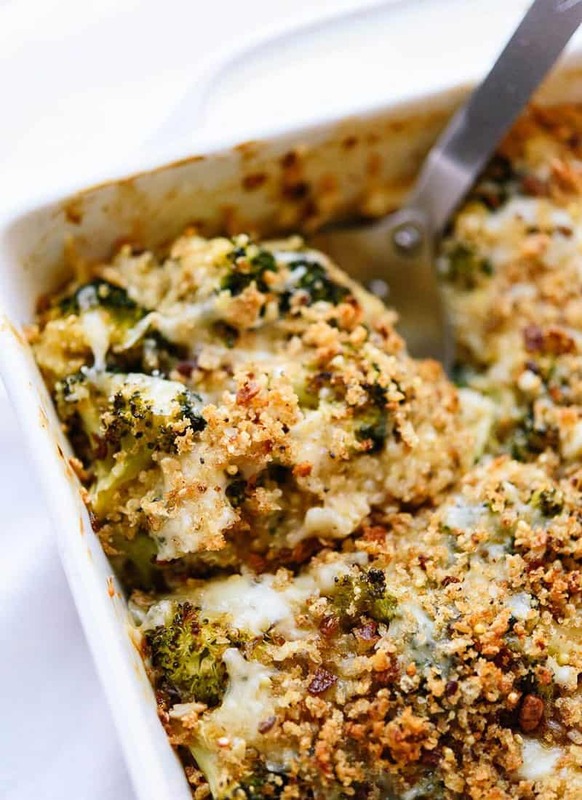 Here’s a wonderful version of a classic broccoli casserole from Cookie and Kate. I love the addition of quinoa in the recipe for added protein. View broccoli casserole recipe here. 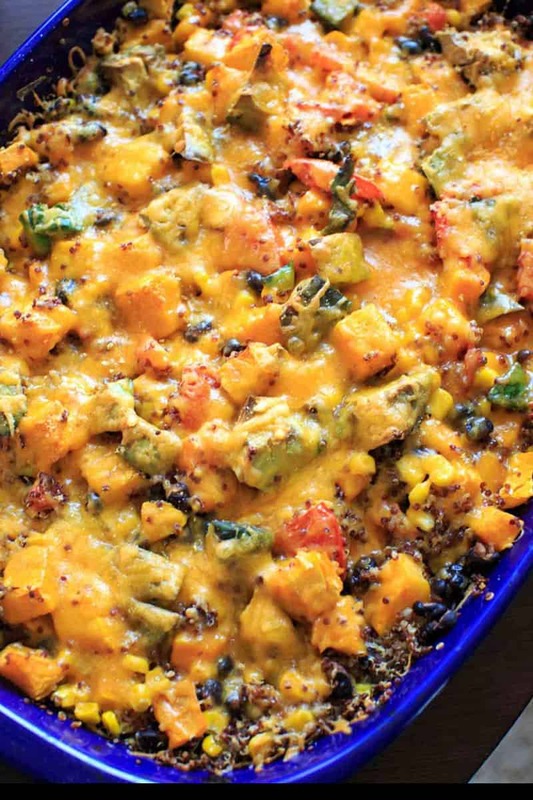 The summer squash casserole is simple, healthy casserole from Reluctant Entertainer. It’s packed with fresh summer squash, herbs and tomatoes, so it’s perfect for those of you with a summer garden in need of some interesting new recipes. In this healthy casserole recipe, the squash takes the place of pasta to keep things on the lighter side. View recipe here. There are so many healthy ingredients in the casserole from Trial and Eater that I don’t even know where to start. Grab this recipe in the Fall when you’re ready for some true comfort food. 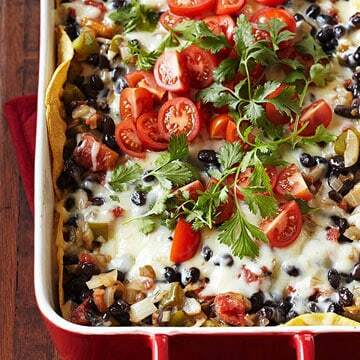 Try this layered up Tex-Mex casserole From Midwest Living with a topping of fresh cherry tomatoes. You can’t miss this delicious casserole from The Iron You. Roasted cauliflower and sauteed mushrooms, plus some Greek yogurt and a little cheese for added creaminess, and I’m in heaven! View recipe here. Here’s a one-skillet casserole from Cook Nourish Bliss that will knock your socks off. 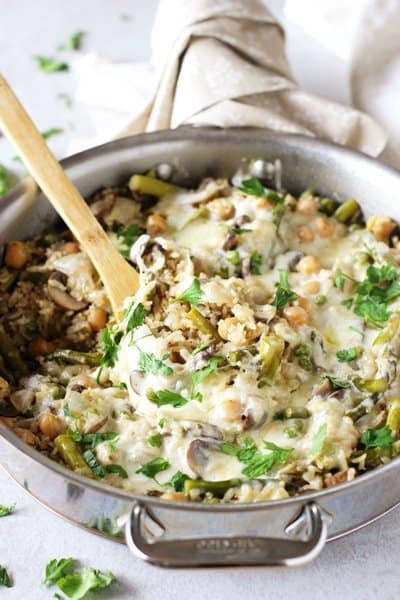 I love the mix of asparagus and mushrooms, plus some chickpeas thrown in. You won’t regret stashing this one away to cook up in the Spring. View spring vegetable brown rice skillet casserole. If your family likes quinoa, or if you *want* them to like quinoa, give this healthy casserole recipe from Love Bakes Good Cakes a try. The southwestern flavors are so good, and the quinoa blends seamlessly in taste and texture. 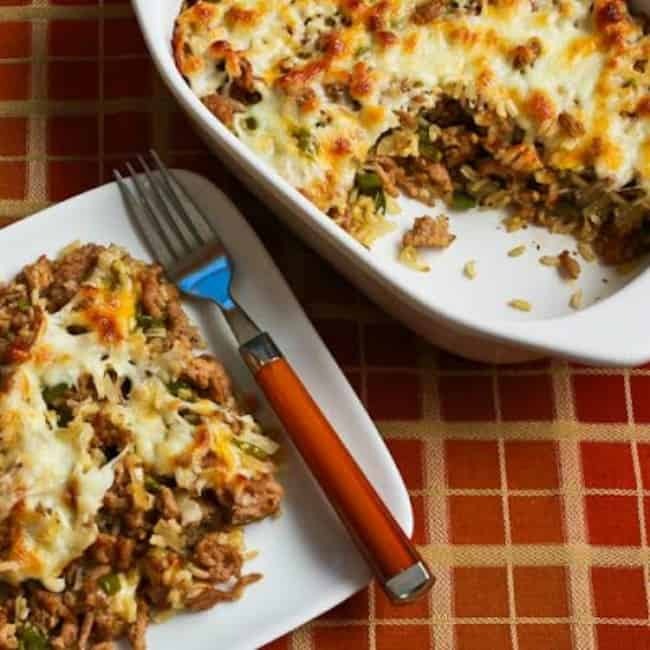 Here’s a hearty, healthy casserole recipe from Simple Green Moms . 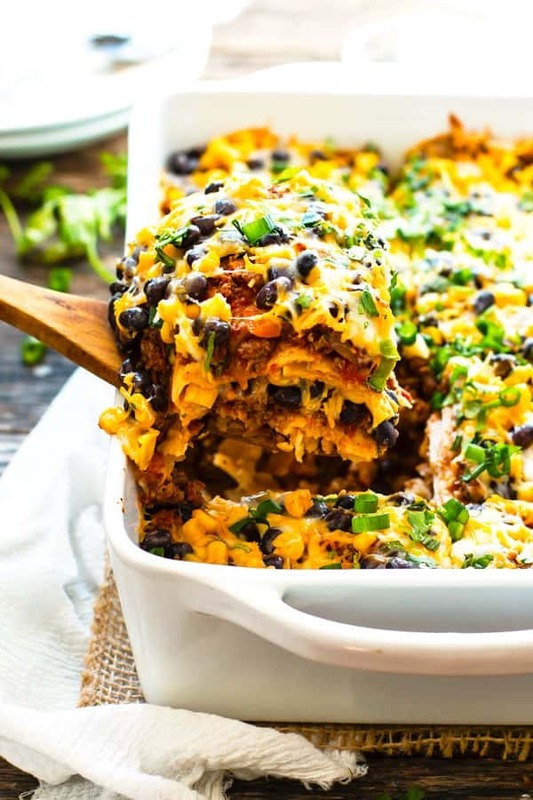 The fact that this casserole has both black beans and brown rice means you will walk away feeling totally satisfied! Plus, there are plenty of veggies mixed in. You can decrease the amount of chili powder if your kids don’t like spicy foods. View recipe here. 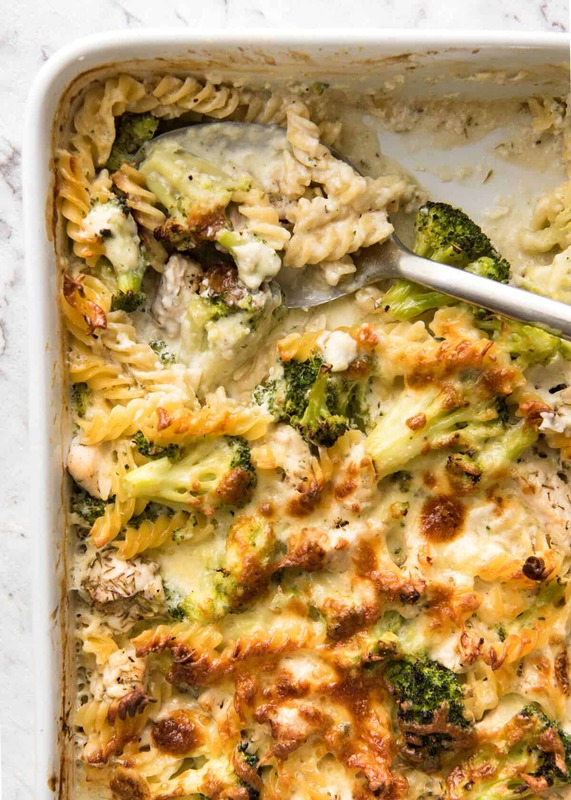 Even kids who don’t like broccoli might change their mind with this casserole recipe from Recipe Tin Eats, but the real beauty in this dish is how quickly it comes together. It’s the perfect family-friendly, one-pan meal you can throw together on busy nights after everyone gets home from soccer, dance, etc. I can’t wait to try this casserole recipe from Kalyn’s Kitchen. It’s a great recipe to turn to when you need to use up some leftovers, so add this to your meal-planning lists. 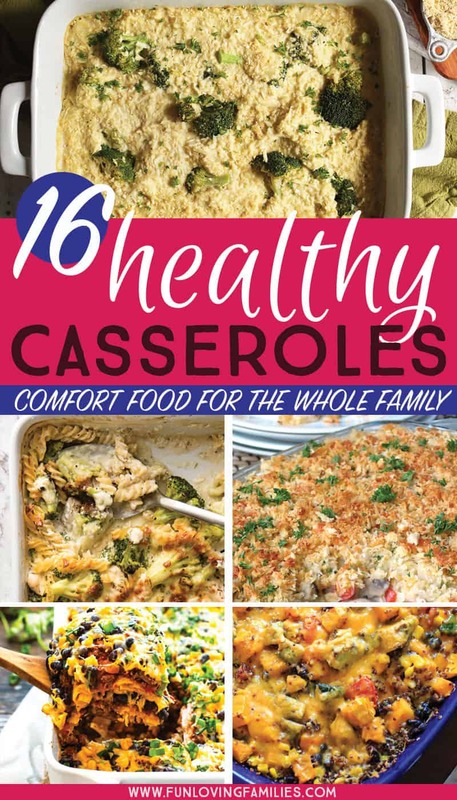 And, I love that she mentions ways to adjust the casserole to fit whatever dietary preferences your family might have. 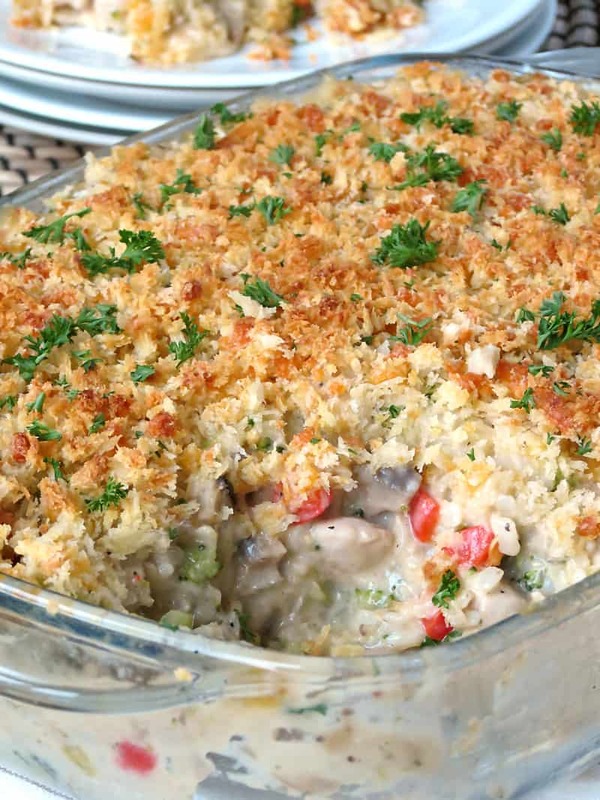 Here’s a creamy casserole from Yummy Addiction with brown rice and lots of veggies. Cook this one up on a Sunday afternoon when the weather gets cool and you’re all ready for some cozy, stick-to-your ribs food that’s still on the healthier side. I love that this taco-lasagna from Evolving Table uses ground turkey instead of ground beef. Check out the post to see lots of ideas for modifications and different toppings. 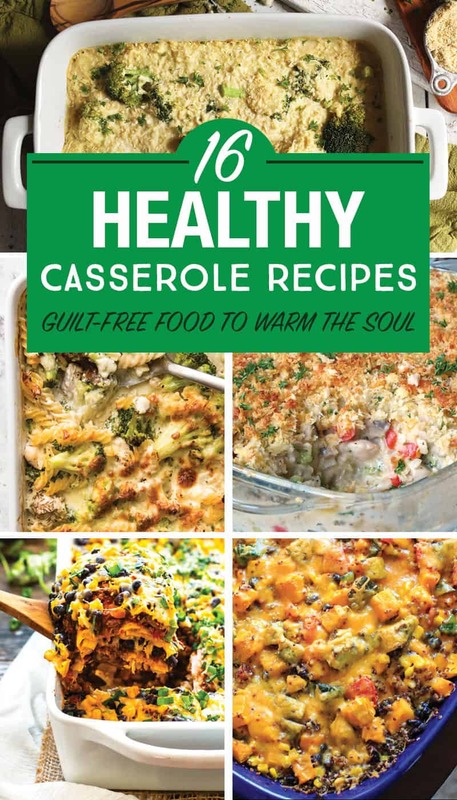 I hope you found some healthy casserole recipes to try this week. If you love finding new dinner ideas for your family, be sure to follow my Easy Dinner Recipes board on Pinterest. Don’t have an Instant Pot? You should definitely read this post to see what you’re missing out on! Pin this image to share or save for later! I look forward to cooler weather and casseroles! They’re the ultimate comfort food! I’m saving this post because I see so many recipes I want to try!